[Update] Remedy’s Head of PR Thomas Puha has confirmed that Quantum Break will be available in most regions at 6:00 AM PST, 4:00 PM Finland time, so it will take a few more hours to see if the PC port is as bad as early reports stated. [Original Story] A few hours ago, Quantum Break, the new action game developed by Remedy Entertainment, has been made available on the Xbox Store in all regions. The PC version has yet to become available for purchase on the Windows Store, but codes have already been sent out to streamers. One of these streamers has shared some worrying reports on the PC version of the game a few hours ago. Joseph Bradford has stated on Twitter that he’s been having quite a few issues with the PC version of Quantum Break, such as very low framerates with a GTX980, issues with kb/m and even stability. He has also mentioned that Microsoft and Nvidia have both been trying to help him and get to the bottom of the matter. As reports on these issues have only come from a single source, we cannot know for sure if all players will have to deal with these issues. 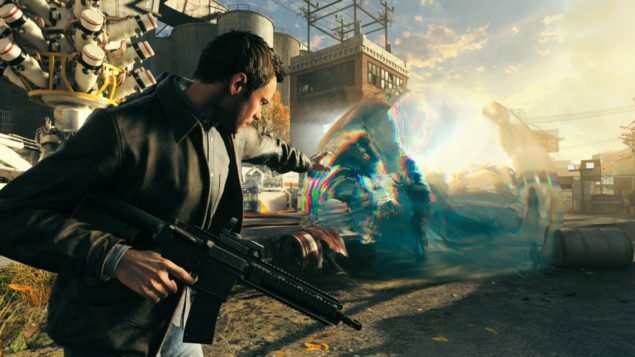 We will let you know more once Quantum Break is finally available for purchase on the Windows Store and more reports surface online. A few weeks ago, it’s been confirmed that all those who purchase Quantum Break on Xbox One will also receive a free code for the Windows 10 version of the game. Unfortunately, these codes won’t be available instantly, as it’s been confirmed a few hours ago that these codes will be sent within 7-11 days from release. Quantum Break is now available for purchase on Xbox One in all regions. The Windows 10 version will be made available for purchase on the Windows Store before the end of the day.